This year’s Weave Festival and Sma’ Shot Day event will celebrate the traditional weavers’ holiday by taking visitors on a trip ‘doon the watter’. The annual Sma’ Shot Day celebration, which is one of the world’s oldest worker festivals, will take place on Saturday 7 July and will, for the second year running, include the Weave Festival – offering an enhanced and diverse programme of cultural events and activities on the day. 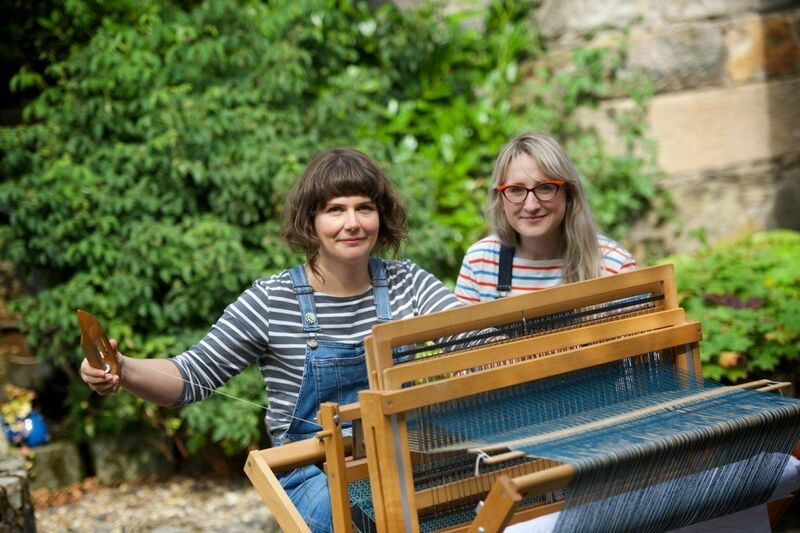 The event will reconnect the town’s weaving heritage and global connections via a programme boasting around 30 shows in Paisley’s historic town centre. The popular Sma’ Shot parade will leave from 12 noon at Brodie Park and finish up at Abbey Close. This year’s parade is being co-ordinated by Bridgeman Arts in collaboration with a number of local community groups, performers and musicians. The parade will bring to life the theme of a trip ‘doon the watter’ topped off with a spectacular paddle steamer boat float. Noel Bridegman, Artistic Director at Bridgeman Arts said: “The Bridgeman Arts Events team has been producing carnival events for over 15 years now and this is the first time that we will be producing the Sma’ Shot/ Weave carnival and the Burning of the Cork. The parade will be followed by a performance by local dance group Right2Dance who will showcase a specially choreographed routine on Abbey Bridge and Forbes Place highlighting the town’s unique relationship with the White Cart. This section of the event is supported by the Paisley Townscape Heritage and Conservation Area Regeneration Scheme (TH.CARS2) funded by Heritage Lottery Fund, Historic Environment Scotland and Renfrewshire Council and is part of Scotland’s Year of Young People 2018. The event will also feature performances from youth theatre school PACE who will re-enact the struggles of the Paisley weavers in their efforts for payment of the Sma’ Shot, the Makers’ Market will showcase a variety of innovative Scotland-based designers and makers and of course the spectacle that is the burning of the cork will be back and will feature a brand new design. Renfrewshire’s Provost Lorraine Cameron, said: “Weave Festival and Sma’ Shot Day celebrate our town’s important and rich history and is always a popular date in the diary. Vibrant street brass band, Brass Aye, will add a carnival flavour to the event while That Swing Sensation & Boogie Box Jive – Scotland’s award winning big swing band – will perform a mix of big band swing classics and rock n roll, while dancers from Boogie Box Jive will perform demonstrations. Also, aerial performers from All or Nothing will amaze and dazzle visitors with their aerial acrobatics as they sail through the air to celebrate the Scottish summer holiday. There will also be ‘Watch, Fly, Come and Try’ aerial workshops where people will have the chance to try trapeze and other activities during the drop in taster sessions. Visitors can look forward to a raft of music, poetry and spoken word performances at the Dooslan Stane Stage or take part in the popular Tea Dance at Paisley Town Hall. There will also be a range of weaving workshops taking place throughout the town on the day and the annual Sma’ Shot Poetry Slam. It’s sure to be a great day not to be missed!